The daily operations of the organisation are overseen by Khemera, Jonny and Sreyda. These three individuals work together as a decision making group for day to day organisational running. The International Trustee Board sits several times a year and Jonny provides the link to this group. Our local Board of Directors sits monthly and consists of Khemera, Jonny and Sreyda plus three more members selected from our list of provincial directors. 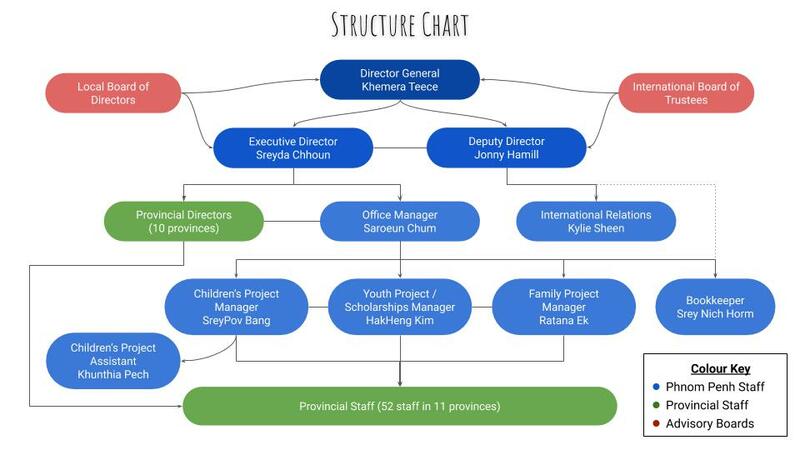 Structure chart updated April 2019.